Christmas to me is all about good food. There is no better gift than eating delicious, comforting meals surrounded by your loved ones. It’s now easier (and tastier) than ever to incorporate plant-based cooking into your Christmas diet – if you’re looking for some inspiration, I’ve compiled some of the best vegan recipes and supermarket treats for the upcoming festive season. Whether you’re 12 or 21, vegan or not, the countdown to Christmas is always exciting. There are now plenty of vegan options on the market. 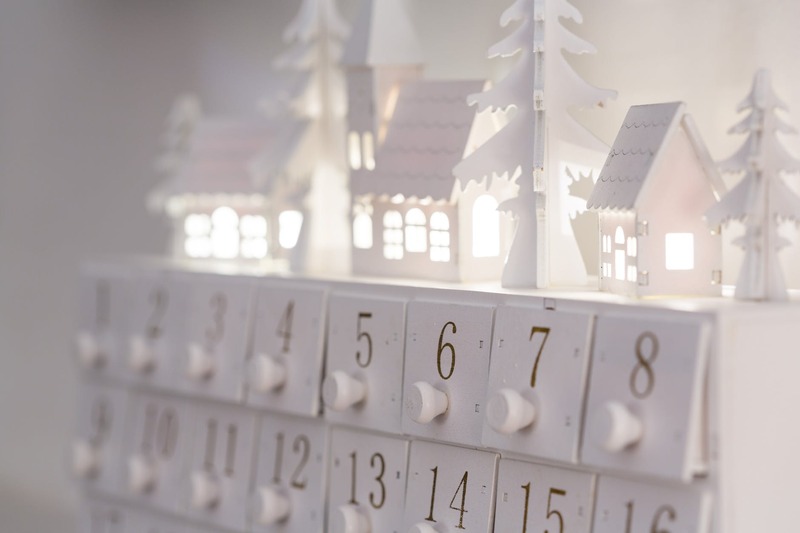 The Holland & Barrett Falmouth branch offer a range of dairy-free advent calendars including white chocolate and sugar-free options. For something more luxurious, Hotel Chocolat sell a dark chocolate calendar, with each piece sculpted into a novelty Christmas shape. Online vegan supermarket, The Vegan Kind, also have a number of options online. And if chocolate isn’t your thing, why not try the Candy Kittens sweet option or Pukka’s organic tea advent calendar? A little something for every day until Christmas comes! The Christmas dinner showstopper should always take centre stage on the dining room table. There are so many meat substitutes available in supermarkets that vegans no longer have to miss out. If you don’t fancy spending hours in the kitchen, Linda McCartney sell a vegan ‘beef’ roast with red wine and shallot glaze, available in Sainsbury’s. For something more traditional, most Holland & Barretts stock Tofurky’s vegan ‘turkey’ roast with wild rice stuffing. If you want to make something from scratch, nut roasts are simple yet effective centrepieces, like this one shaped like a wreath. For something more substantial, try making Bosh’s hearty portobello mushroom wellington. If you’re a more adventurous cook, vegan chef Gaz Oakley has some amazing seitan-based recipes which will impress even your non-vegan loved ones. My favourites are the no ‘turkey’ roast wrapped in ‘bacon’ and a traditional ‘beef’ wellington. A Christmas spread should involve copious amounts of sides. Roast potatoes, Yorkshire puddings, veggies, stuffing – you name it, we’ve got it. And who can forget delicious ‘pigs’ in blanket? Vbites have you covered with their take on this classic. For veggies, rosemary roast potatoes, cauliflower ‘cheese’ and maple-glazed parsnips and carrots are all a must at the Watt household. Even the marmite of the veggies, roasted brussels sprouts, occasionally make an appearance. Stuffing and Yorkshire puddings (yes, it can be done!) are other firm favourites. 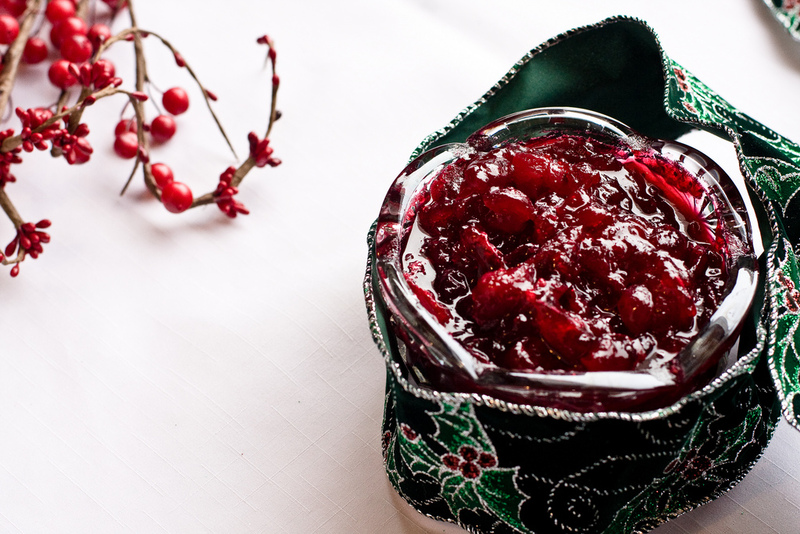 For delicious home-made condiments, why not make your own cranberry sauce or gravy? It’s the little things that make Christmas perfect. Photo by Ayngelina via Flickr. 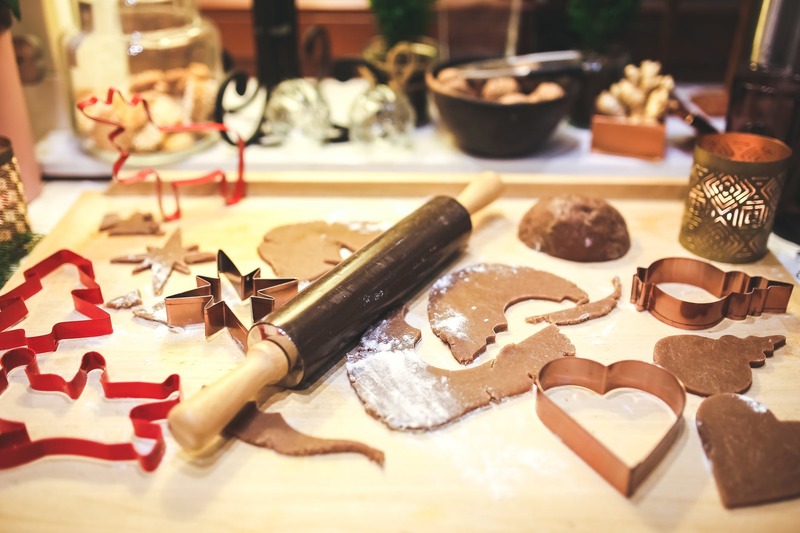 The Christmas holidays are the perfect time to retrieve your apron from the cupboard and experiment with some baking. It’s also a great way to get all of the family involved. For something traditional, check out this gingerbread house and chocolate yule recipes. Most supermarkets now also stock vegan Christmas pudding. For a lighter dessert, check out Asda’s vegan-certified mince pies which are delicious paired with Alpro custard. Baking isn’t rocket science – give it go! Tis the season to be merry! If you’re partial to a few drinks this holiday, Tesco sell an inexpensive mulled wine. Baileys Almande is a luxurious treat (which, FYI, is also the perfect gift for your vegan friends), found at most supermarkets. If you’re after something cosy, Cadbury’s hot chocolate is vegan! Pair with your favourite festive mug and top with lashings of whipped cream and marshmallows. 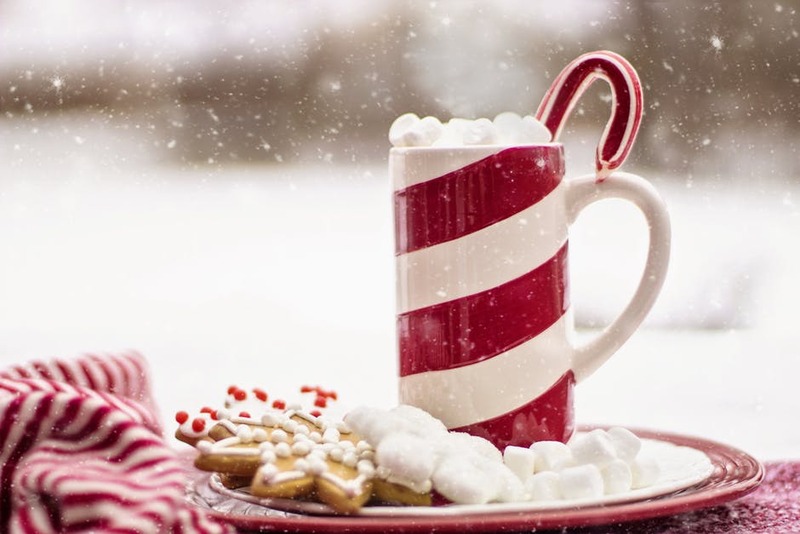 A cup of hot chocolate makes every day better – even those cold December ones!